Kathryn Gurland, LCSW, Founder and Director of PEG'S Group is available for presentations, guest speaking, and expert panels. on developing customized workshops geared toward the participants interests and needs. For more information about professional engagements, email Kathy directly at office@pegsgroup.com. Kathy was interviewed on Lifetime Channel's "The Balancing Act® to discuss the facts about getting the help and support you need above and beyond the cancer community and healthcare system. 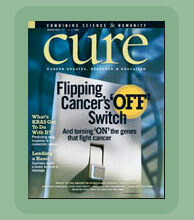 CURE (Cancer Updates, Research & Education) Magazine reached out to CNC™ Kathy Gurland as a resource, seeking her professional advice regarding individuals who must meet the challenges of cancer alone for their article "On Their Own" by writer Marc Silver. New York writer and author, Tara Parker-Pope profiled PEG’S Group Founder Kathy Gurland in the popular Well Blog that appears daily in the Health Section of The New York Times. Kathy Gurland was interviewed for a story in the New York Post highlighting individuals who forged new careers later in life fueled by the desire to do something meaningful and to follow their personal passions. Click here to download a PDF of this article. PEG’S Group founder, Kathy Gurland, was asked to write an article providing cancer navigating guidelines to the newly diagnosed by Women & Cancer Magazine., “A Survivor’s Compass” was illustrated and published in the Winter issue featuring Donna Karan on the cover. Click here to download a PDF of this article. 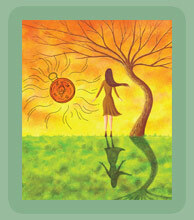 Kathy is also the author of a new column in Women & Cancer Magazine entitled By Your Side. The column addresses psychosocial concerns of people coping with cancer. 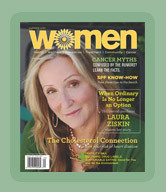 The inaugural article, "Meet Your Social Worker", appears in the "Cancer Tips" segment of CancerConnect.com and was published in the summer 2010 issue. Click here to read the pdf version of that article. A widely featured and popularly read local New York blog, DUMBO NYC, interviewed Kathy Gurland (read Part I and Part II here) when she launched PEG’S Group. This blog reports all local area developments, cultural events, movie shoots, festivals, etc., and promotes new small businesses that set up shop in this cutting edge neighborhood set between the Brooklyn and Manhattan bridges (DUMBO stands for Down Under the Manhattan Bridge Overpass). Kathy was invited by the National Association of Social Workers to be a panel expert in Los Angeles speaking before a group of screen writers at an event organized by the Writer's Guild. Social workers speak to Hollywood. Kathy was also invited to be on a four-member panel at an Entertainment Industries Council Inc. briefing on Women’s Health at CBS Television City. 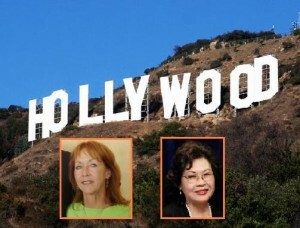 Social worker team pitches womens health in Hollywood. Kathy was an invited presenter at an Urban Zen Food Solutions Workshops in NYC, sponsored by at Donna Karan and funded by the Palette Fund.